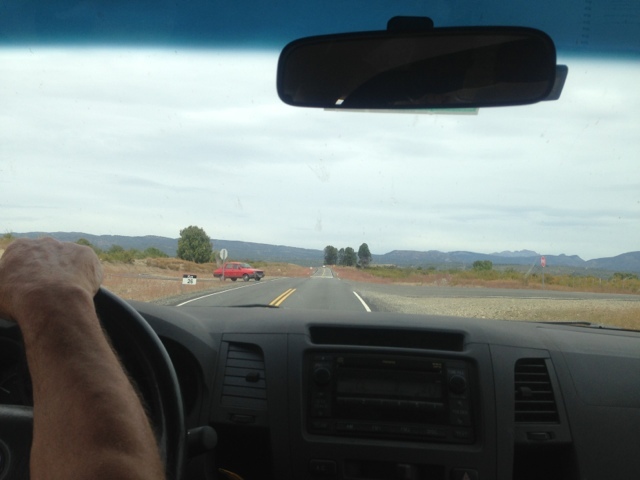 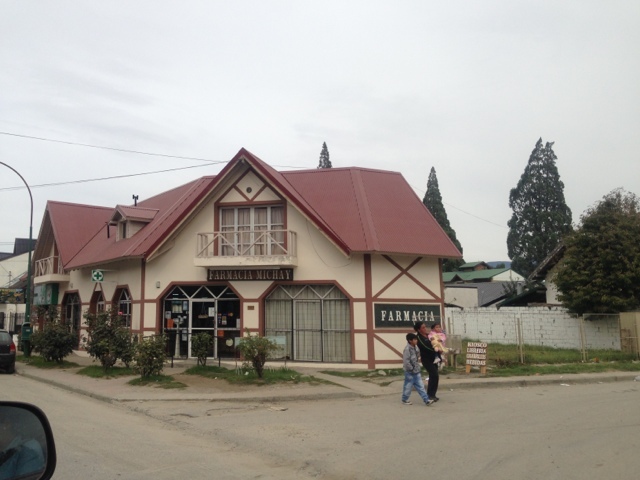 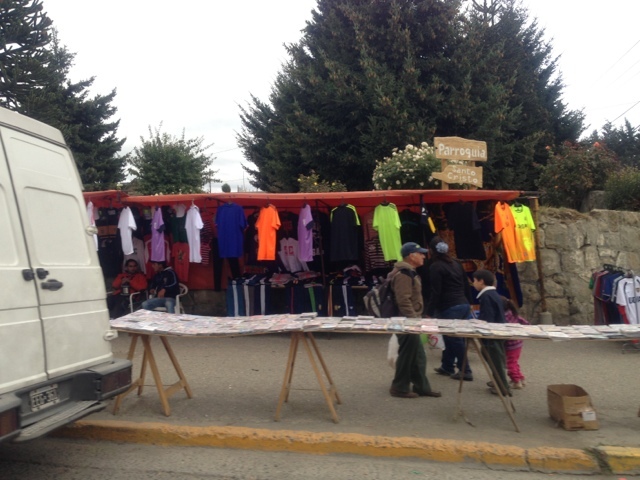 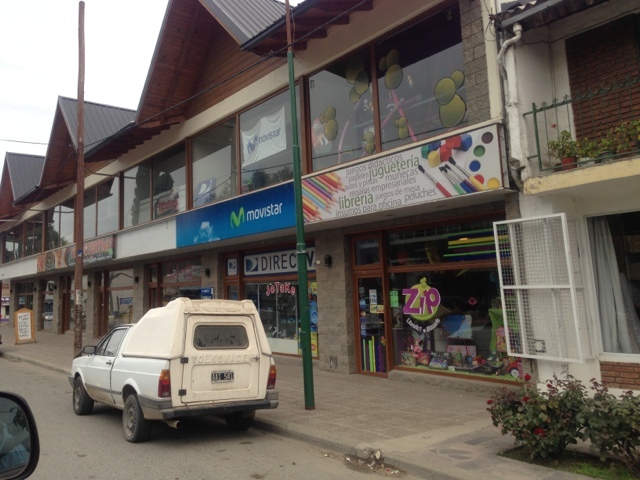 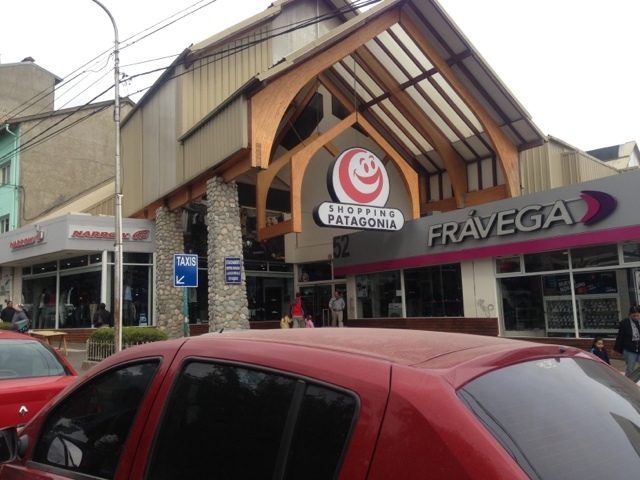 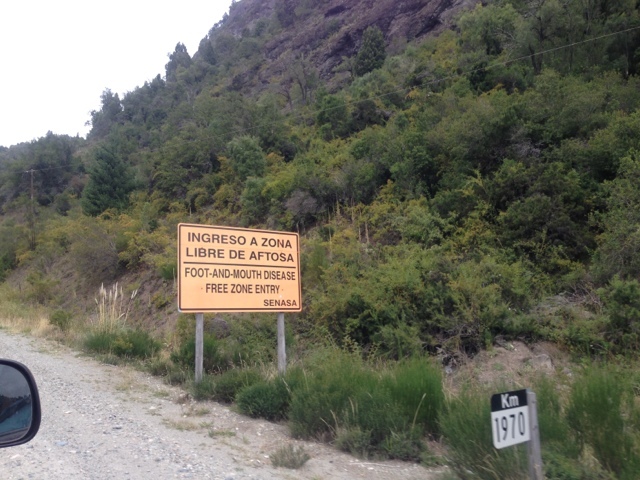 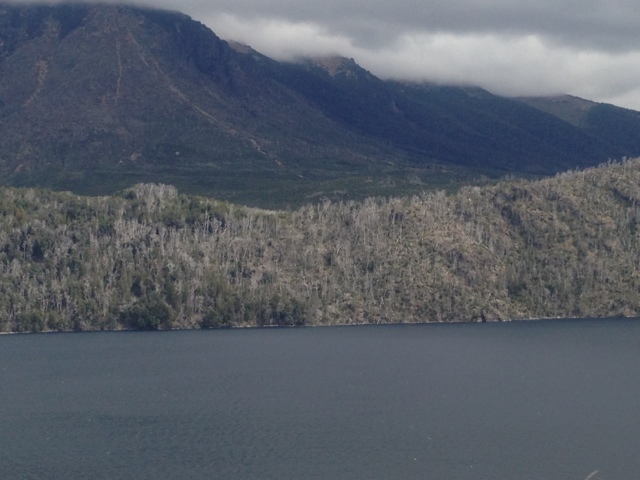 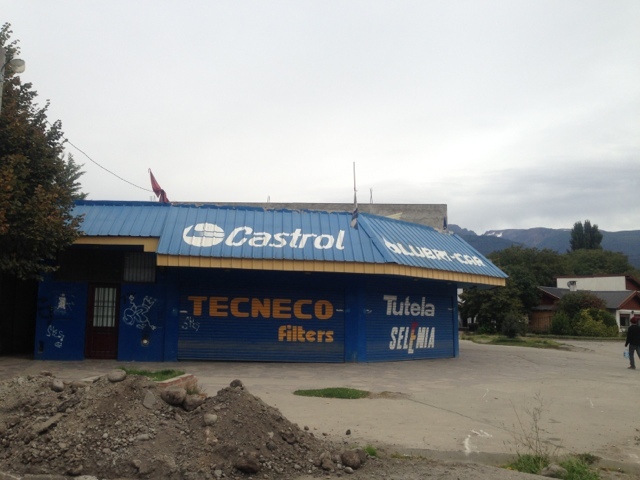 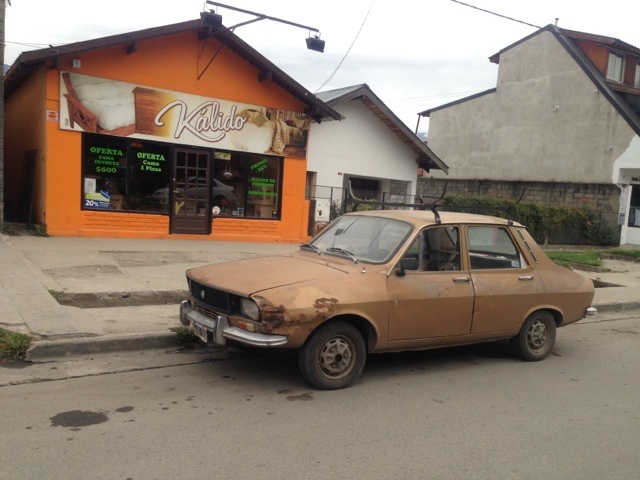 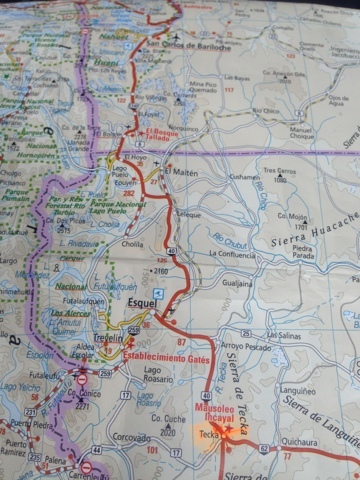 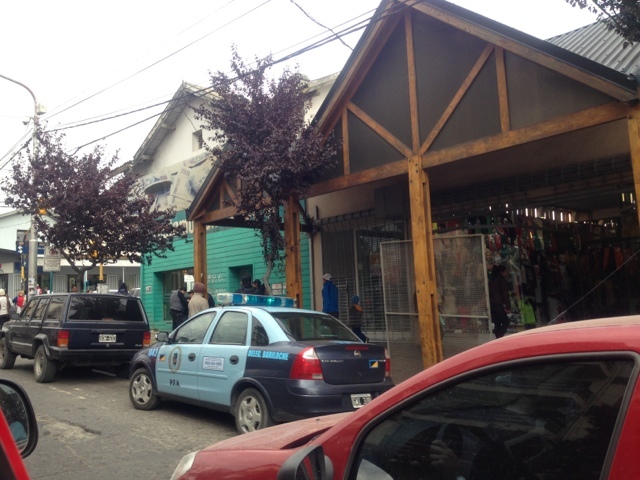 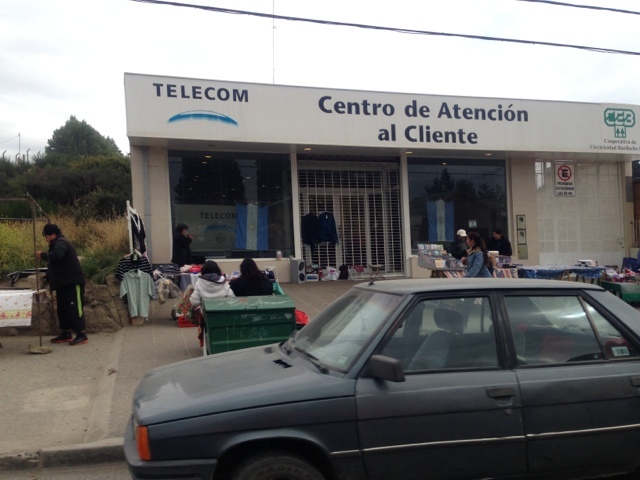 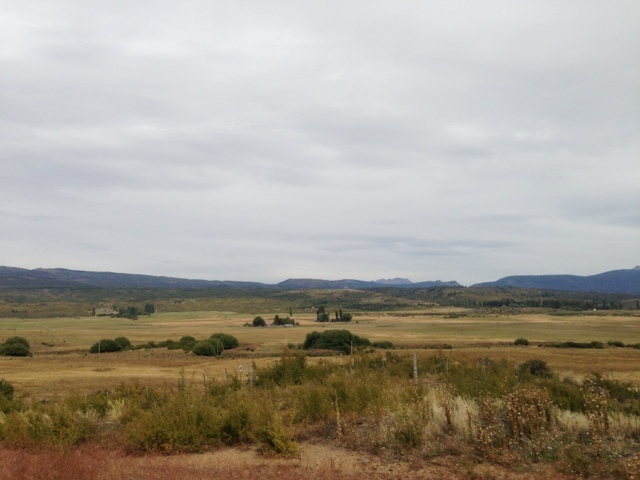 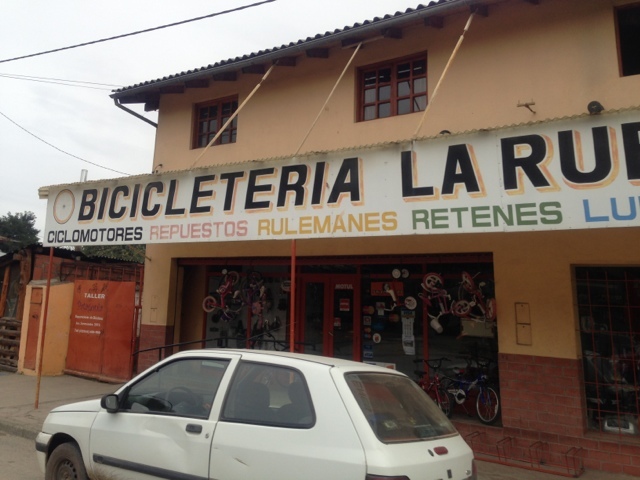 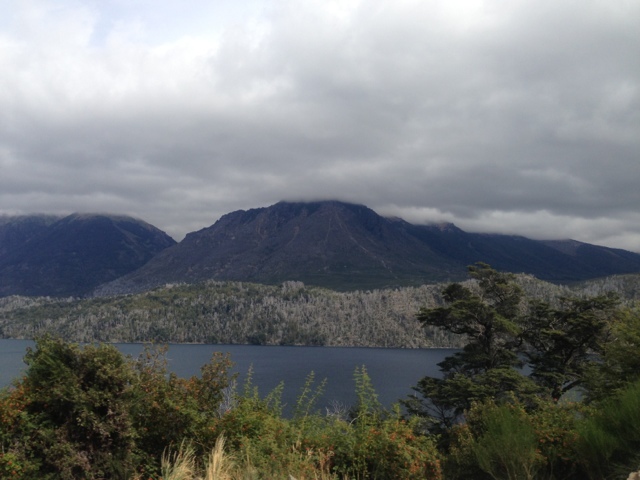 Well we left the rather splendid Hotel Llao Llao and took a ride through the town of Bariloche..
Luckily we were soon out of the tatty little streets and back on Route 40 or as Roj calls it The Esquel Route. 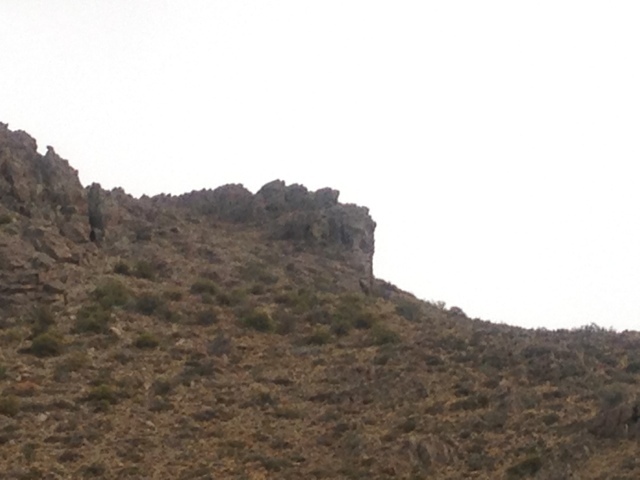 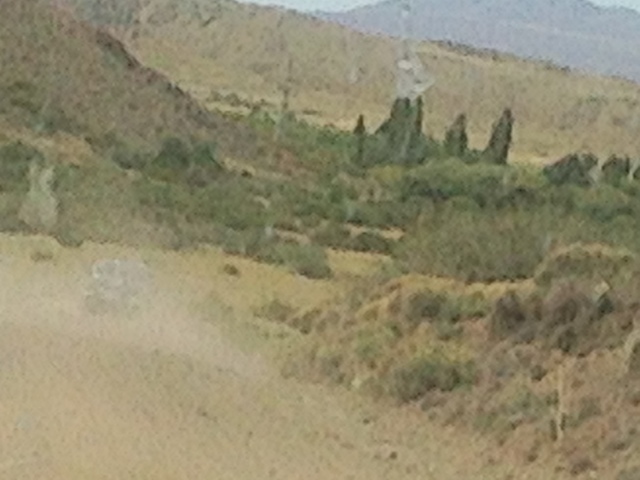 Quite scenic again but very overcast today so don't blame the iPhone lens..
David informs us that the little white tree stumps that we see in the distance are the remains of the damage from the volcanic ash that spewed out .. 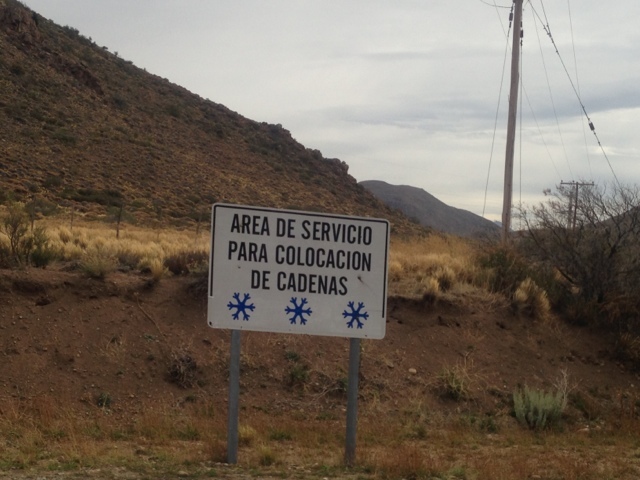 It turned out that the 1st police control of the day was just informing us of the start of the 'Foot and Mouth' Free Zone..
We took a coffee / nose powdering stop just on the outskirts and had to wait about 30 minutes for a cuppa. 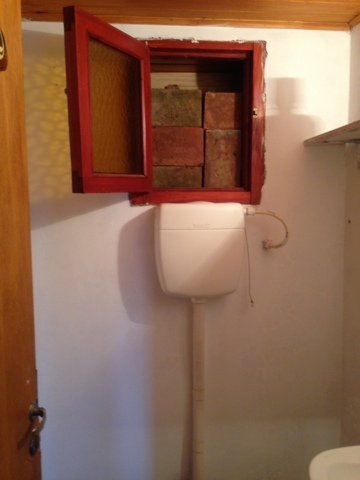 Strange vent in the ladies loo - not sure whether it was to keep the burglars out or stop the ladies from making a sharp exit before paying their bill lol. 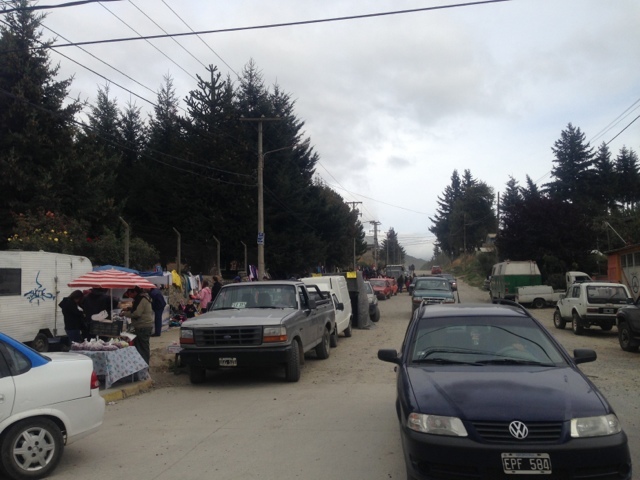 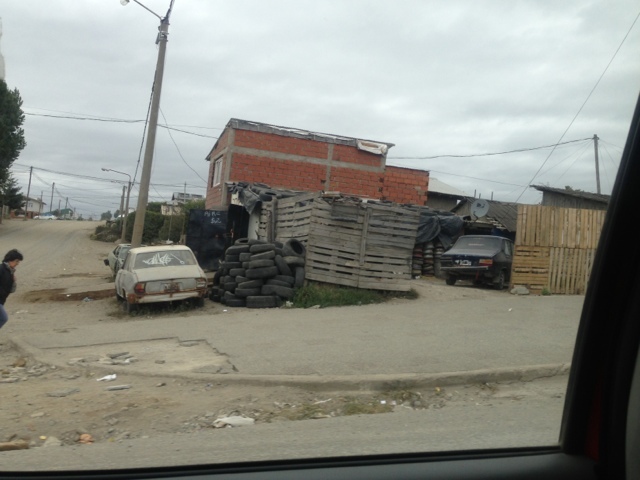 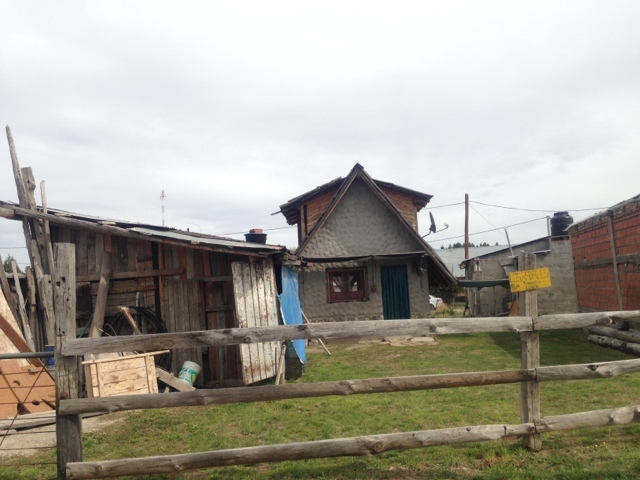 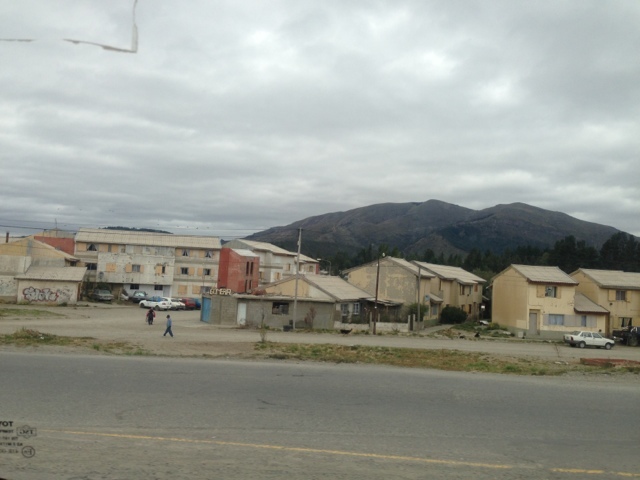 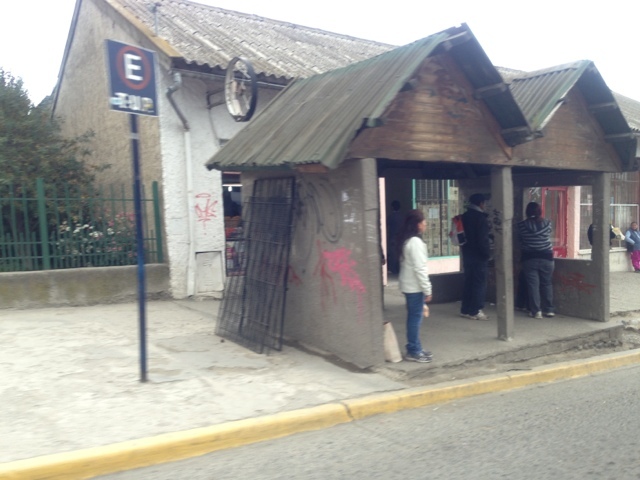 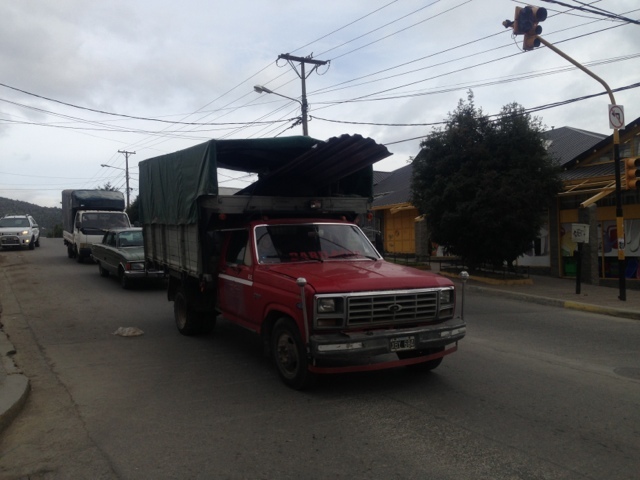 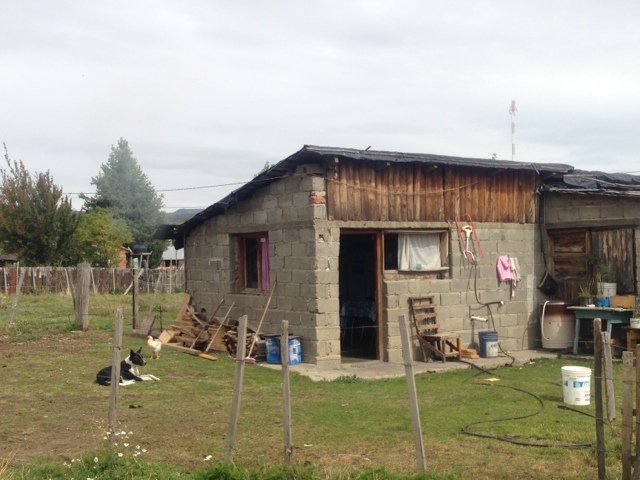 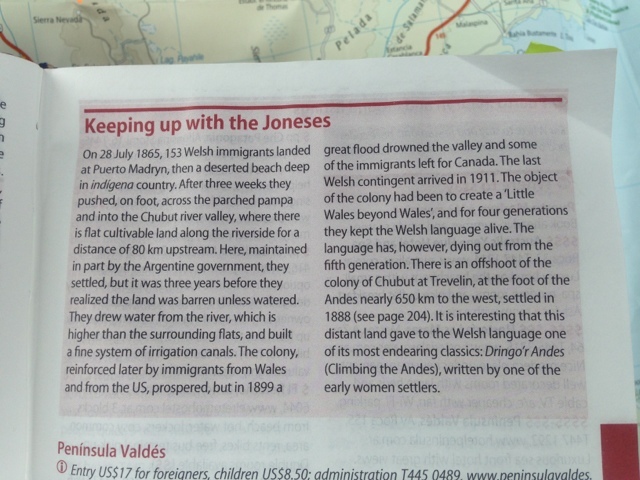 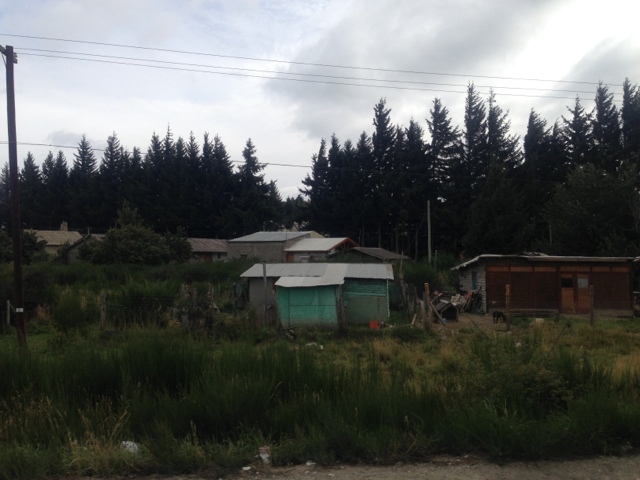 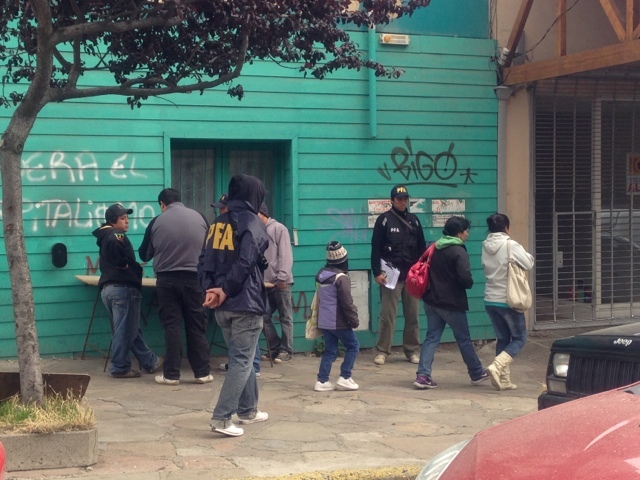 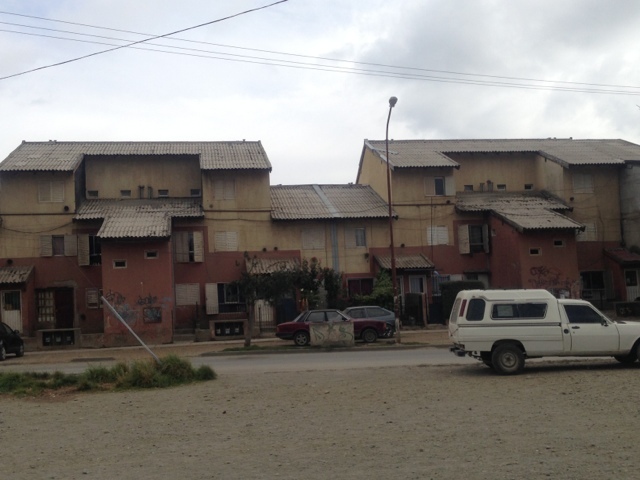 Then onwards through a little shanty town called Choilla which was on the route of one of todays 65 km test. 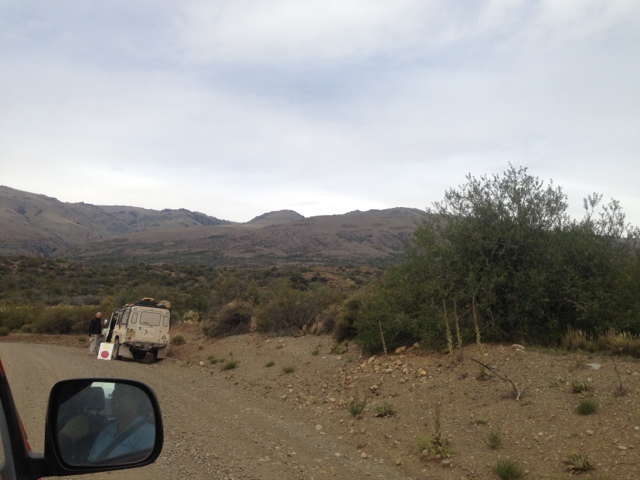 We headed out of the village and onto the rough stuff. 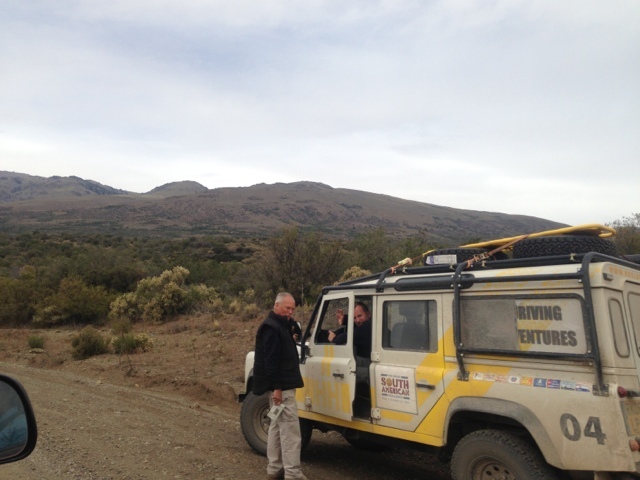 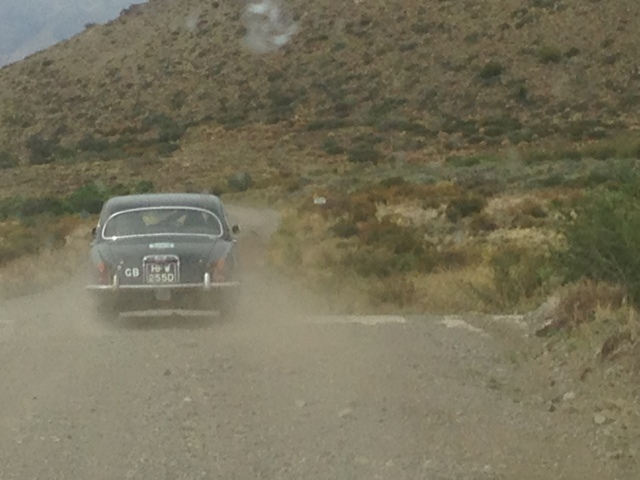 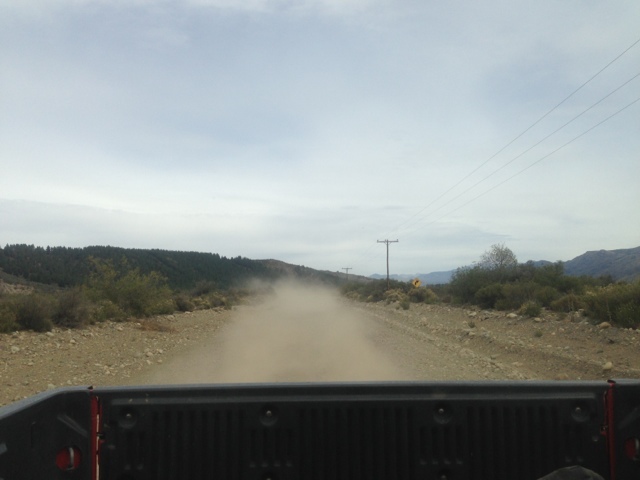 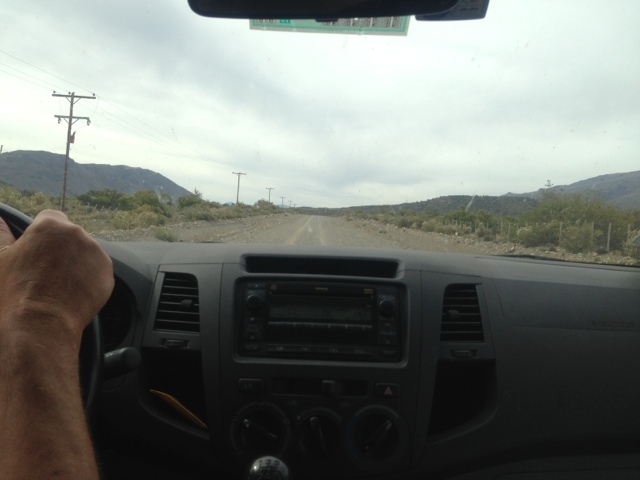 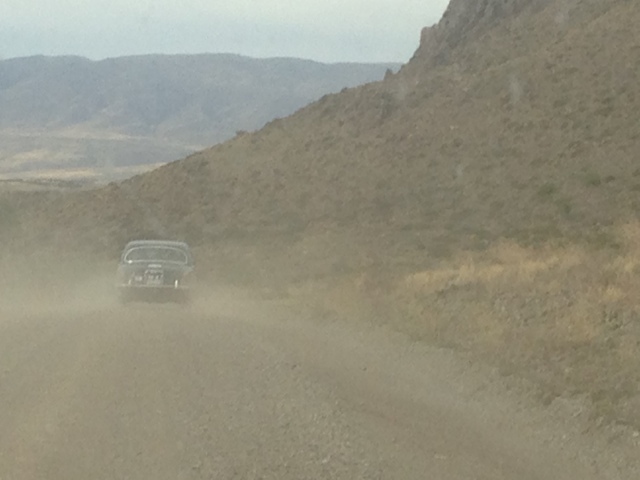 'Nice bit of dirt' commented Chauffeur Roj as we left the village and sped on leaving trails of dust behind us. 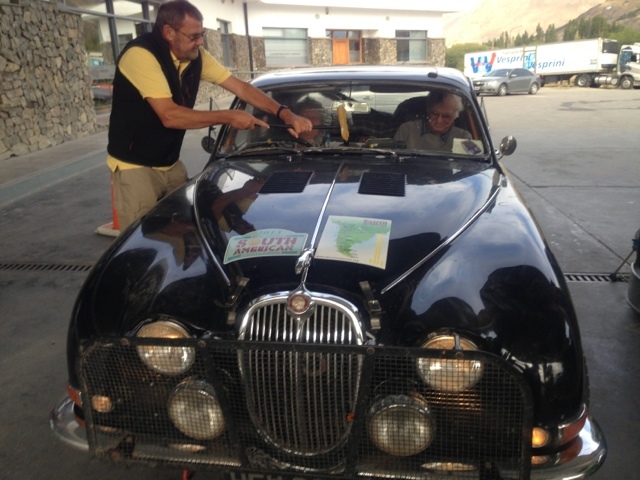 I could see Roger was enjoying this and wishing he had his hands around his Healey wheel instead of the Hillux..
We came across the Jaguar, Mark at the wheel today with Yvonne doing the navigation. 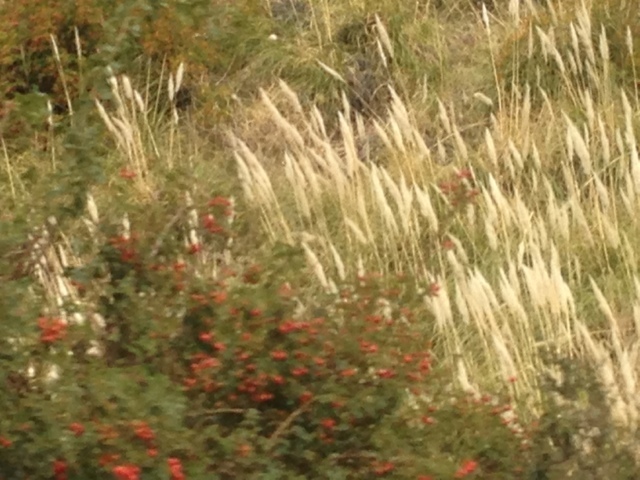 They are still going strong despite some very early 'teething' problemos. 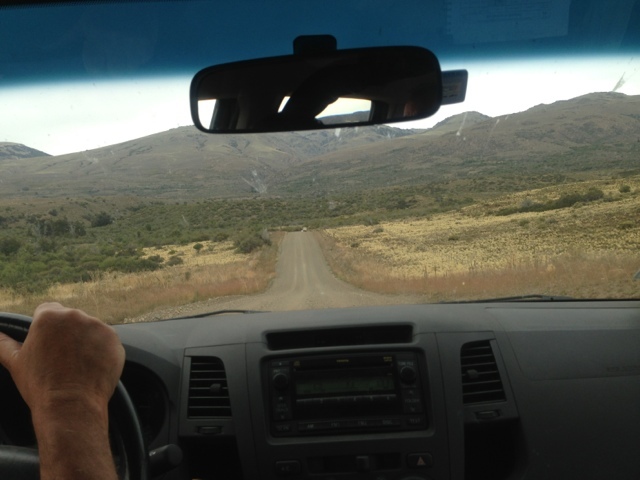 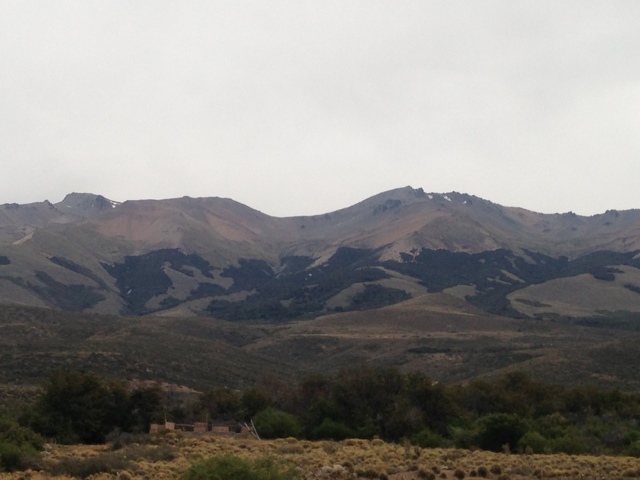 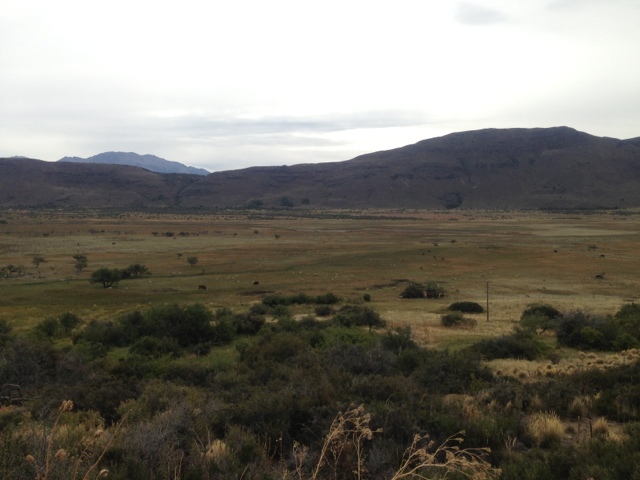 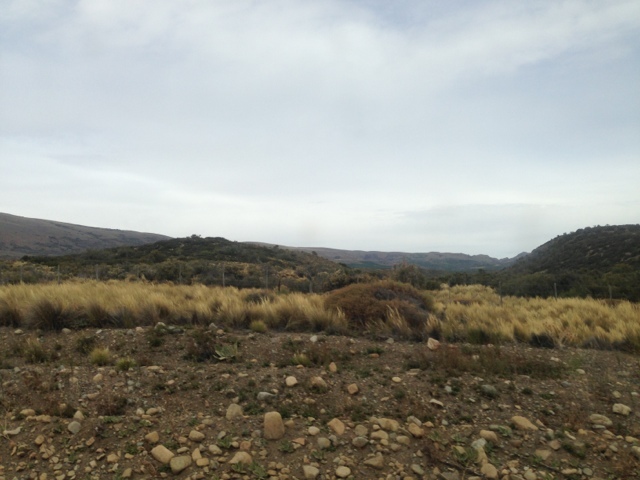 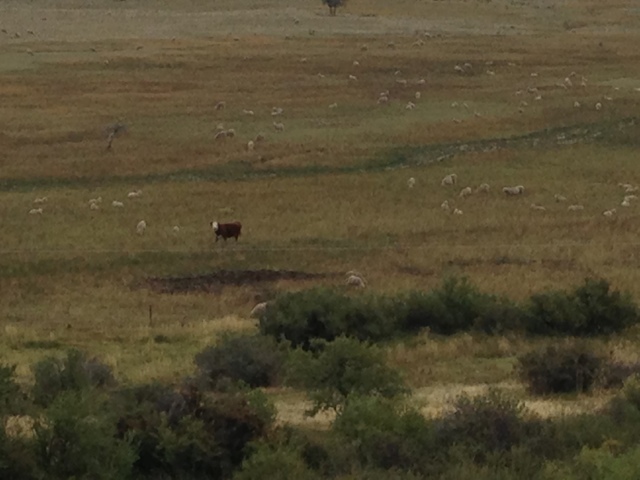 Back onto Route 40 and through the Patagonian Pastures (spot the sheep) and some more interesting landscape.